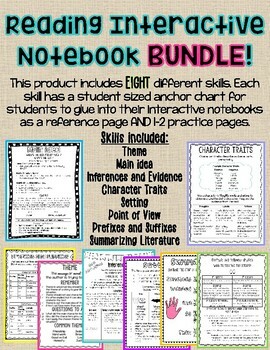 This reading interactive notebook bundle includes EIGHT different skills. Each skill has a student sized anchor chart for students to glue into their interactive notebooks as a reference page AND one or two practice pages. *Click the skill to see the product. Please leave feedback on your purchase. I truly value your opinion.